Our feet are one of our most important parts of the body. They are also one of the most used. Day in and day out, we use our feet to help us get from location to location. Our feet often grow tired or hurt by the surfaces we walk on. Sometimes, this means that our feet develop warts. This can be for a variety of reasons and does not need to cause alarm. At Jamfeet, we can help you figure out the source of your warts and how we can treat them. Visit Dr. Jamshidinia, Los Angeles podiatrist, today for a consultation to get your feet back up and walking in no time! The most common types of foot warts are plantar warts. Let’s learn more about what these warts can do and how important it is to get them looked at. Plantar warts are usually caused by a virus that spreads during the warm weather. If you’re prone to walking around barefoot during the summer, you may develop these warts. It comes from HPV or the human papillomavirus. This virus enters the skin through any type of opening, be it a cut, a scrape, or even pores that you can’t see. Once the virus takes hold, it starts to develop a series of warts on the foot, known as plantar warts. They are specifically located on the sole of the foot. If you have warts on another part of your foot, they are not plantar. It is best to seek plantar wart treatment as soon as possible. These are just some of the main signs to look out for when you are dealing with plantar warts. At the office of Dr. Jamshidinia, we will help you determine the seriousness of the virus and develop a personalized treatment plan to get rid of them as soon as possible. Your podiatrist can offer solutions that will act fast to get rid of these symptoms. However, it’s up to you to stop by for a consultation. Without getting your feet looked at, the virus can progress through your feet and your body, causing a breakdown of immunities and leading to more severe issues. Jamfeet specializes in foot procedures and surgeries that can help get rid of your wart symptoms right away. If you think you’re dealing with plantar warts, please reach out to us as soon as possible to schedule a consultation for wart removal in Los Angeles. While these warts aren’t deathly harmful, they still should not be ignored. Simply contact us online or give us a call at (310) 579-2080. In general check-up appointments with your doctor, your feet can often be overlooked. This can be a mistake since your feet are informative body parts to use in gathering information about your overall health. Find out how your feet can be vital indicators of your general health with our in-depth guide. If you need a qualified, professional podiatrist in Los Angeles, contact the team at Jamfeet today. Because your toe nerves and blood vessels are located the furthest away from your heart and spine, early indications of heart discrepancies or nerve damage can be found in your toes. Cold, insensitive or swollen toes can indicate a myriad of health problems. Cold toes often refer to a lack of blood flow in the nerves in your feet. If this symptom occurs when you are surrounded by snow or from another natural cause, there is no need to worry. However, if it is a regular day and your toes have started to become cold to the touch, this may be an indication that a larger problem is the cause. If this problem continues for longer than an hour and your toes have not warmed, consider a trip to your doctor or podiatrist. If your toes have begun to lose feeling in them and remain numb for a full day or longer, schedule a trip to your doctor or podiatrist in Los Angeles immediately. This symptom may indicate a spinal issue that could progress quickly, so a doctor’s visit is vital. A lack of feeling in toes or feet occurs when the nerves have been cut off from their path to the spine and could result in permanent nerve damage if not treated quickly and correctly. If any of your toes are swollen or bruised at any time for a reason other than a minor blunt trauma, seek a physician’s opinion. Swelling could indicate broken bones, fractures or bloating due to an untreated heart problem. Always be aware of how your toes look and feel, as this could help you diagnose a major problem early. Your foot is also prone to symptoms that could indicate larger problems in your health. If you experience frequent foot cramps or aches, this could be a symptom of dehydration or an early sign of nutritional deficiencies. This symptom is quite common in athletes and is a good way for athletic trainers to identify dehydration or nutritional lack. Your feet can also experience common sores that occur from uncomfortable or ill-fitting shoes, socks or other footwear. These sores are not a serious issue unless they do not heal. A constant sore can be an indication of high glucose levels and an open wound that cannot heal may lead to serious infection. If the infection is left untreated, drastic measures may be taken to cure the affected area. Always be sure to take care of lingering sores with a trip to your podiatrist in Los Angeles. Another common but serious indication of your health that can show systems on your feet is any itchy rashes, flaky skin or peeling. This is mostly known as athlete’s foot, but it can present itself in patients who have never played a single sport. It is a form of fungal infection and can be treated through many products found in drugstores. With a consistent use of products and through constant attempts to keep feet dry and cool, the infection can be treated without a trip to the doctor. If the symptoms progress, however, don’t put off seeking medical attention, as a larger issue may be the cause. If no infection is found, you may have a skin disease instead of a foot infection. In this case, a podiatrist and dermatologist will be able to help identify the exact condition and the best course of treatment. If you’re looking for an incredible podiatrist in Los Angeles, contact the team of professionals at Jamfeet to schedule a consultation today. People talk about maintaining a healthy body and lifestyle constantly. From television ads to dedicated magazines, and millions of cookbooks promising to have all the answers, we are dedicated to living a healthy life. But what many people don’t consider is how their health and eating habits affect all areas of their bodies, not just their weight. Eating well significantly lowers your risk of getting cavities and other oral infections and choosing a healthy diet can help prevent major problems with even your feet. For more information on maintaining optimal foot health, get in touch with the top podiatrist in Los Angeles today. Dr. Kamran Jamshidinia is standing by to guide you through your options for foot surgery or treatment. No one diet works perfectly for every person, but the goal to maintaining healthy feet is to load your body up with the right amount of calcium and vitamin D to ensure that your bones do not become porous and begin breaking down. A lack of calcium and vitamin D in your diet can lead to osteoporosis, or bone cancer, in your feet. In many cases, it is in the foot bones that the first stage of osteoporosis is identified. You can prevent the breaking down of your bones by ensuring that you incorporate lots of healthy calcium and vitamin D. Adult women and men require about 1,000 mg of calcium per day for their bodies to function at their best. To make sure you get the right amount of calcium each day, you can adjust your diet to include beneficial foods loaded with it. Milk is usually a go-to solution, but there are also seeds, cheeses, yogurt, beans, lentils and dark leafy greens like spinach and kale. In many situations, these items may already play into your current diet, so the next step is to make sure you’re eating 1,000 mg of these foods every day for the best outcome. Depending on where you live, a lack of vitamin D in your body may be an easy fix. If you live where the sun is constantly warm and shining, chances are you have a great amount of vitamin D in your system. If this isn’t the case for you, however, there are many foods that have vitamin D in them, and, there are some that have both calcium and vitamin D. Foods rich in vitamin D include fatty fish, like tuna and salmon, dairy products fortified with vitamin D, soy milk, orange juice, cheese and egg yolks. The most effective way to upping your body’s daily intake of these two incredibly necessary supplements is to combine the foods that have both vitamins in them and loading up your diet with them. If you have more questions about how diet leads to healthy feet, contact a podiatrist in Los Angeles to get more answers. If you break a bone or have surgery that requires you to rest for prolonged periods of time, your doctors will mention how the area of your body that is healing start to atrophy. This process happens when a decrease in movement and exercise of any kind occurs and it happens to more than just your muscles. The same idea of deconditioning can occur in your bones when you do not exercise frequently. It’s important to maintain a healthy heart to prevent bone damage in your feet. 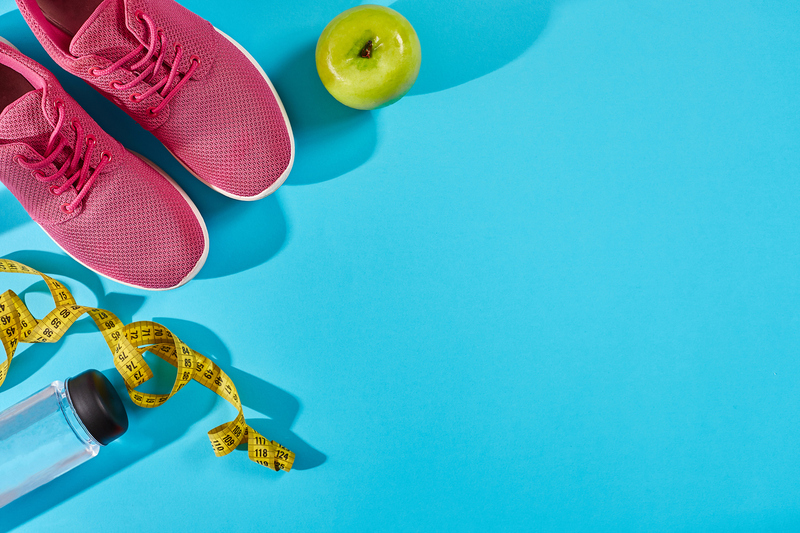 This can mean anything from taking daily walks, to pushing yourself in a gym, but whichever you prefer, it is important that physical health gets as much attention as your diet when thinking about maintaining your feet bone health. Contact a podiatrist in Los Angeles today to see if your lifestyle is enough to maintain healthy bones, or if there’s something you could be doing better. Stay in optimal shape with these diet and lifestyle tips to ensure that your bones stay strong. Combine foods full of both calcium and vitamin D to ensure a high-caliber diet, dedicated to maintaining bone health. If you have further questions regarding foot bone health, contact the top podiatrist in Los Angeles, Jamfeet, and set up an appointment today! Whether you are getting ready for sandal season or just trying to keep your nails in better shape, there are a few simple steps you can take at home to maintain clean and healthy nails. Read on to master these nail care basics. For more information on foot care, bunion surgery, and general foot surgery, get in touch with the top podiatrist in Los Angeles, Dr. Jamshidinia today. The first step to maintaining healthy and clean nails is to make sure you are adequately cleansing your feet every day. Using a mild soap and warm water helps to stimulate circulation to your feet. It’s also a good idea to scrub those toenails with a foot brush and make sure you completely dry your feet, especially in between your toes. Many people use moisturizer daily on their face or body to combat dry skin but moisturizing your feet is often forgotten. Getting into the habit of moisturizing your feet each day will help to keep the skin around your toenails soft and healthy. Using oils like jojoba that are absorbed quickly will help to keep your toenails from becoming cracked and brittle. Eating a well-balanced diet rich in vegetables, fruits, nuts and lean proteins is a great way to keep your nails healthy and strong, and the rest of your body for that matter. You can also take a supplement containing biotin and keratin to help boost nail growth, but a healthy diet is always a good option for overall health. Many people probably don’t think about this much, but wearing the right shoes and socks can have a significant impact on your nail health. If your shoes or socks are too tight, they can restrict the blood flow to your nails. Poor fitting shoes can also cause painful ingrown toenails, black toenails, corns, calluses, blisters and other issues that can impact how you walk. If you shower at the gym or regularly visit the pool, wear sandals to protect your feet from fungus. As part of your toenail care, it’s important to keep your nails trimmed and this is something to do about once a month. Invest in some nail scissors or a good pair of clippers and trim them properly so you avoid ingrown toenails and possible fungus. You should always trim straight across, never in a curve. You should use a nail file to keep any rigid edges smooth. This will help to prevent hangnails. You should get in the practice of inspecting your nails frequently for any signs of potential health issues. Treating your feet to a spa day is a good idea every once in a while. Foot massages will help to keep the circulation going in your feet and toes. Good foot circulation will help to keep the blood flowing to your nails which keeps them healthy. Soaking your feet fairly often can also help to keep your toenails clean and healthy. A good soak will help to loosen any dirt that finds its way into the nail folds or under the nails. This can help to combat smelling feet and fungal infections. Add a little oil to the water to moisturize your feet. If you enjoy those regular pedicures, make sure your nails can handle it and are still healthy. Using non-organic nail polish can do more harm than good. It can stain your nails yellow and the remover often used can dry out your nails which can cause them to peel and crack. You should always opt for all-natural polishes for your pedicures. If you are suffering from toenail or other foot issues and you need professional help, contact the team at Jamfeet for a consultation. We treat a variety of conditions such as bunions, laser toenail fungus treatment, ingrown toenail treatment, athlete’s foot and diabetic foot treatment issues and much more. If you have embarrassing toenail issues or any type of foot pain, don’t wait another day to get treatment. Contact the top podiatrist in Los Angeles today so you can put your best foot forward.